Megan focuses her practice in the area of insurance defense litigation including medical malpractice, commercial litigation, employment litigation, and torts and products liability. She also represents numerous clients as local counsel for asbestos-related and employment-related claims in both Kentucky and Illinois. Megan previously worked for a national litigation firm in Chicago and defended complex personal injury matters in medical negligence, products, premises, toxic tort and transportation cases. Megan has achieved successful results from arbitration, mediation, negotiation and trial for a variety of clients (including hospitals, doctors and Fortune 500 corporations). 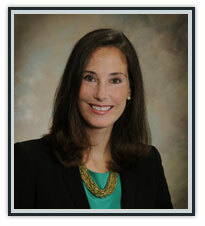 Megan has litigated nearly 40 jury trials to verdict as first chair trial counsel. Louisville Bar Association; Louisville Women’s Bar Association; Kentucky Bar Association; American Bar Association; Assumption High School Alumnae Association Board Member.